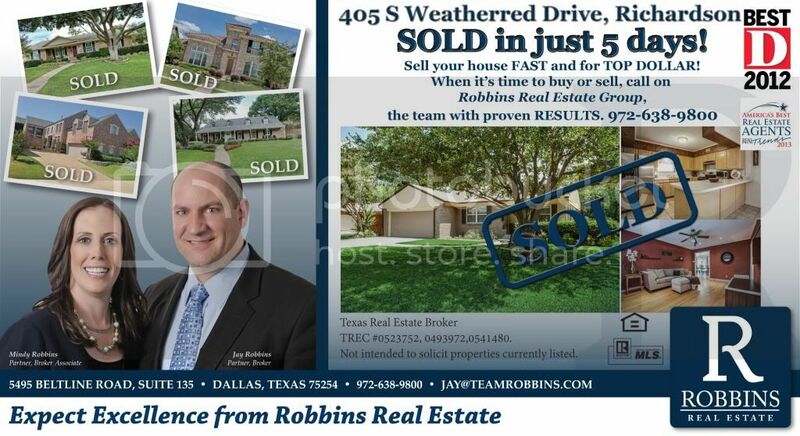 Robbins Real Estate sold 405 S Weatherred Drive in just 5 days! 405 S Weatherred Drive, Richardson – SOLD in just 5 days! Call Robbins Real Estate Group at (972) 638-9800 today! Congratulations to the new owner 405 S Weatherred Drive!